Overall, the record is recognisably Fallon's; he takes his best ingredients of trademark likeability and searing emotional insight and transfers it while changing things up musically. 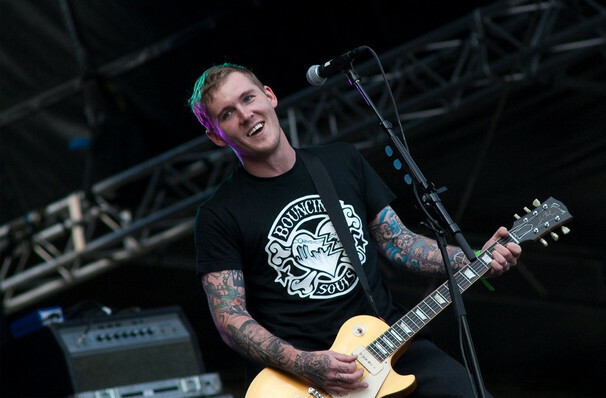 Ripping a page right out of the gospel according to Springsteen, Brian Fallon lead the Gaslight Anthem to glory by creating uplifting, rock and roll anthems extolling the highs and lows of blue collar living. When the New Jersey rockers announced an indefinite hiatus in 2015 to much mass mourning, Fallon took the opportunity to focus on his solo project. 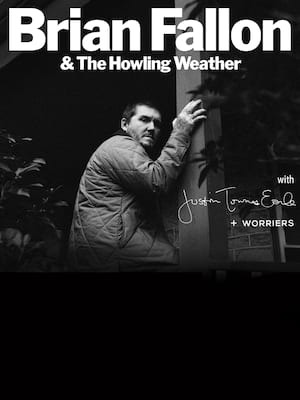 Don't miss the fruit of his labour as he hits the road with backing band The Howling Weather to celebrate the early 2018 release of second studio album Sleepwalkers. Staying true to his bluesy heartland alt-country writing style, Fallon has also brought the finger-snapping rhythms and melodies of Motown and soul into play on the album, marking an exciting evolution in his considerable catalogue. A true freewheeling troubadour, Fallon's emotionally charged performances read almost like high energy Church sermons, confessional and soaring in their lyrical truth and sonic release. Sound good to you? Share this page on social media and let your friends know about Brian Fallon at 9:30 Club. Please note: The term 9:30 Club and/or Brian Fallon as well as all associated graphics, logos, and/or other trademarks, tradenames or copyrights are the property of the 9:30 Club and/or Brian Fallon and are used herein for factual descriptive purposes only. We are in no way associated with or authorized by the 9:30 Club and/or Brian Fallon and neither that entity nor any of its affiliates have licensed or endorsed us to sell tickets, goods and or services in conjunction with their events.